Spring is finally here, although, in my part of the world, it doesn't really feel like it yet. 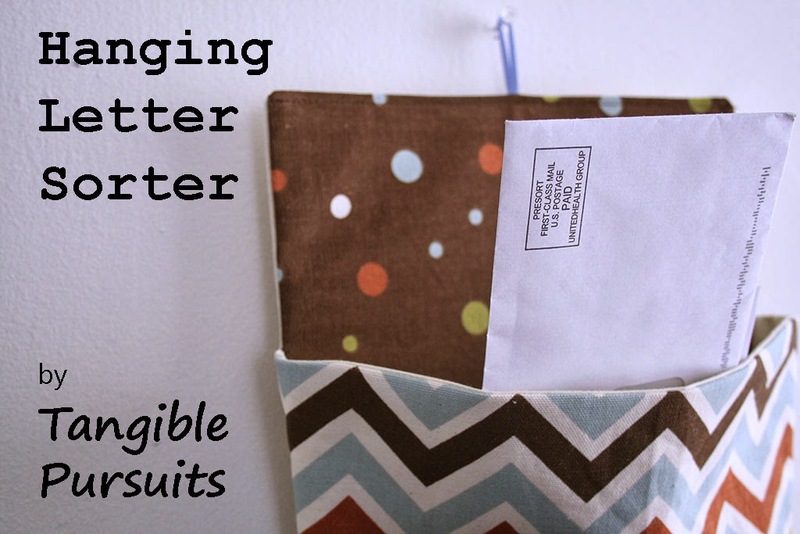 Nevertheless, in honor of spring, and spring cleaning and organizing, I have a free pattern and tutorial for a hanging letter sorter. Two pockets to hold your incoming and outgoing mail, or your mail and your roommate's mail, or your bills to pay and documents to file, or whatever you decide. The pockets are wide enough to hold a magazine and the back is reinforced with plastic canvas to keep it from being floppy. If you want to use two separate fabrics on your letter sorter, as I did, you could use 1/4 yard for the pockets and 1/3 yard for the back. Keep in mind, though, that the pocket piece is 15" wide, so if you are using a fabric with a pattern, depending on which way the pattern goes, you might need a 15" wide piece for the pockets. 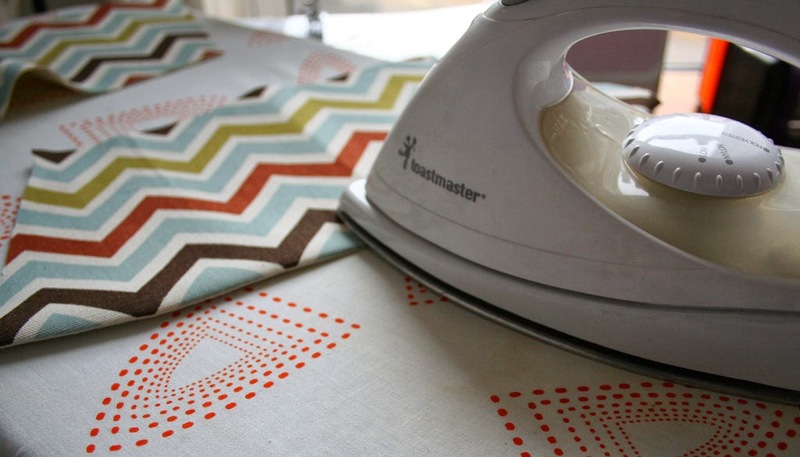 You could also a quilting cotton for the main pieces of the letter sorter as well, but then I would recommend using interfacing. Also if your fabric is 42" wide you would need 3/4 yard of it. 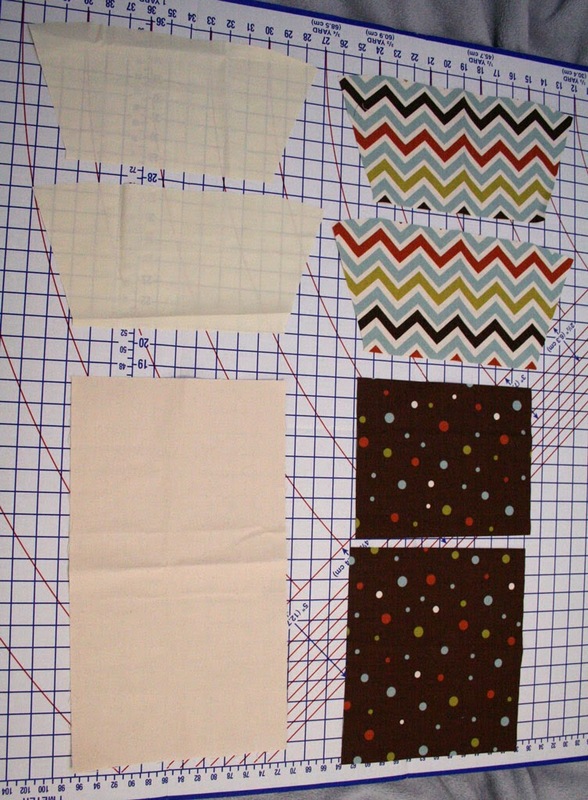 From the quilting cotton, cut two pocket pieces. From the plastic canvas cut a piece 9" x 17". Place one of the canvas pocket pieces and one of the pocket lining pieces right sides together and sew along the top with a 1/2" seam allowance. Cut notches at the two angles. Repeat for the other set of pocket pieces. 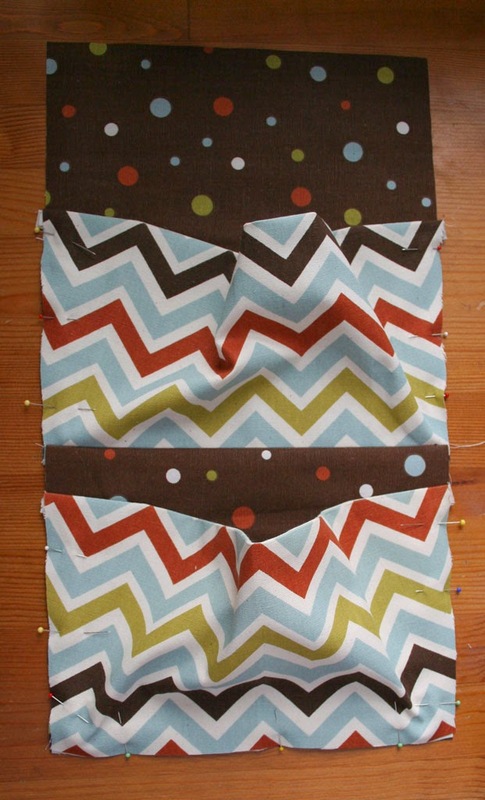 Turn the pockets so the wrong sides are together and press the sewn edge. Line up the bottom of one of the pockets with the bottom of the 10" x 11" piece. 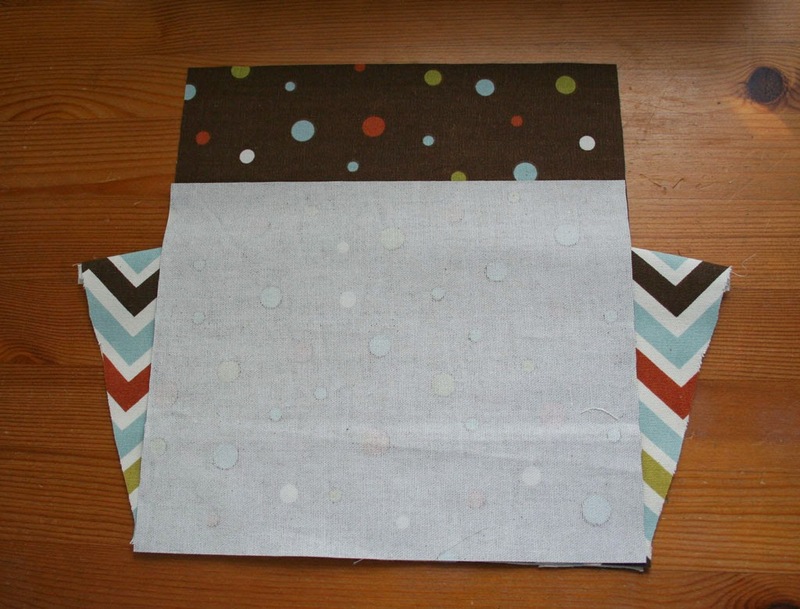 The lining of the pocket should be against the right side of the 10" x 11" piece. Lay the 10" x 8" piece on top, right side down, so its bottom edge is lined up with the other 2 pieces. Sew along the bottom edge with a 1/2" seam allowance. Fold the 10" x 8" piece down so it's right side is now facing up. 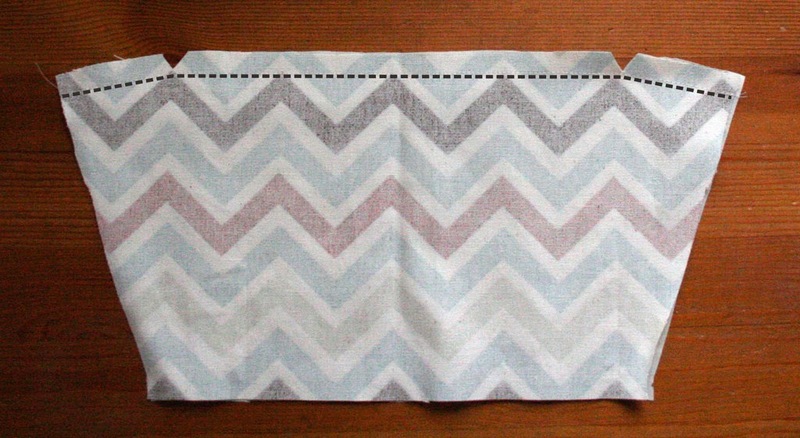 Line up the other pocket with the bottom of the 10" x 8" piece and pin the bottom edge in place. Line up the sides of both pockets with the sides of the backing pieces and pin in place. Baste the sides of the pockets and the bottom of the lower pocket in place. Place the 10" x 18" piece over the whole thing with the right side down. To make it less likely that your letter sorter will bow in if you put heavy things in it, I would recommend adding two loops of ribbon at the top edge sandwiched between the front and back pieces, about 1" in from each corner. 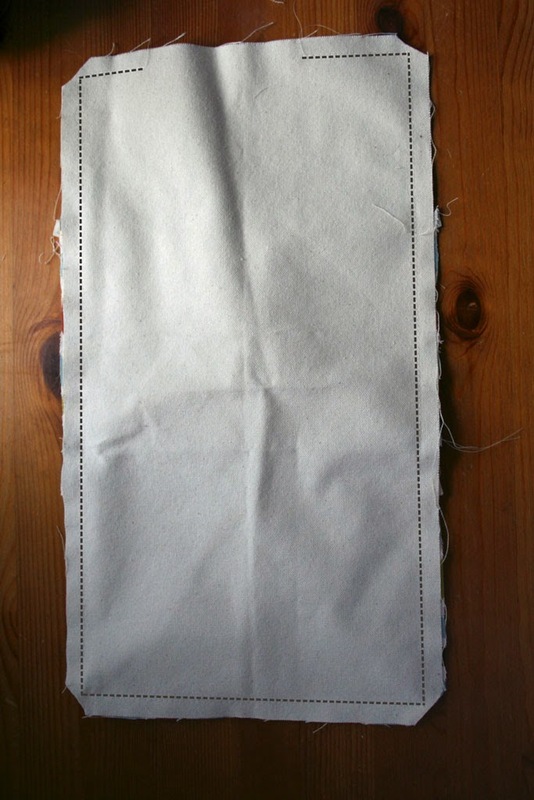 Sew around the edges with a 1/2" seam allowance, leaving a 4" gap at the top. Clip the corners. Turn the whole thing right side out, using a chopstick or crochet hook or something similar to push out the corners. Insert the plastic canvas through the opening. 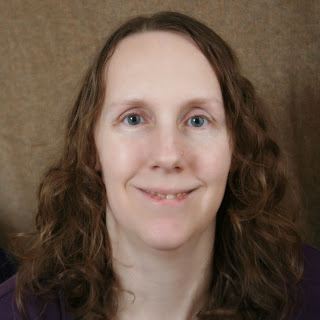 You will need to roll it up into a long tube to fit it into the opening and then once it is inside, unroll it and work it into the corners and edges. Close the opening by topstitching along the top, adding a loop of ribbon in the middle if you didn't already add two loops in the previous step. And you're done! Now hang it up somewhere and start getting organized! Nice! I have been doodling in my head about how I would like to do one of these. I like yours, especially the contrasting fabrics. Looks good. 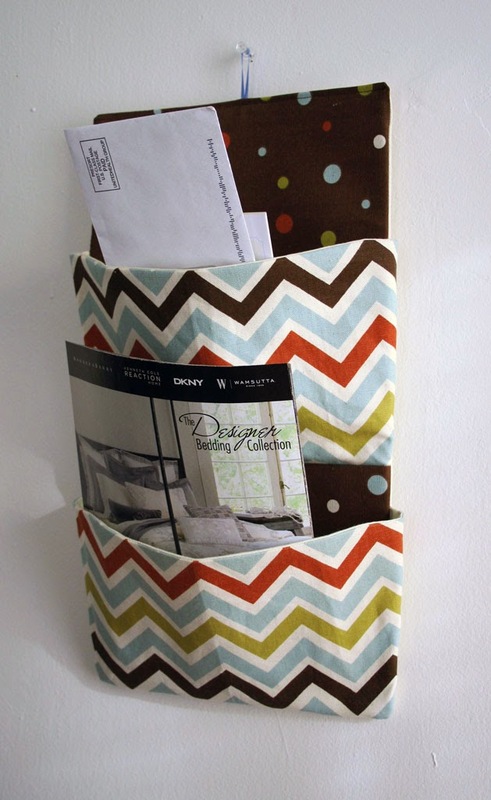 Wow, I've just been contemplating different ideas for mail organization in a small space. This might be just the ticket! Great! I hope it works for you. Thanks Melissa! and thanks for the pin! Love this. I can't wait to make it for my friend who piles his mail on the counter. Thanks! I hope he likes it!